Clean up and removal of all leftover tiles/broken tiles from your residence. 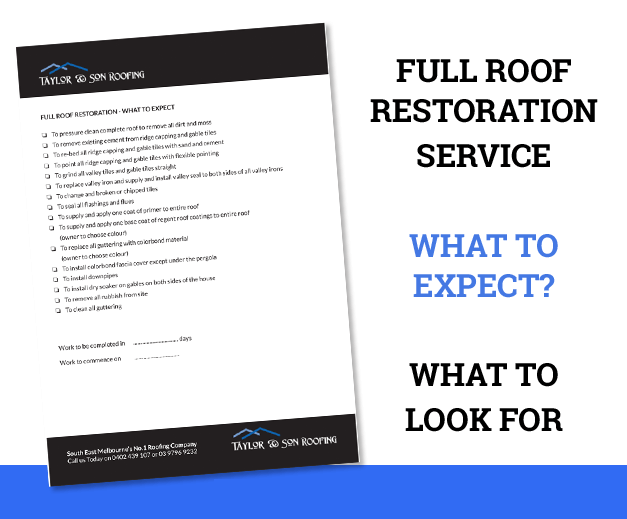 We can repair your leaking roof, we’ll come out and assess your specific situation and advise on the best, most cost effective way to handle the repairs. Typically these repairs include broken tile replacement, re-bedding, and pointing of the ridge capping and valleys. All work is quoted prior to work commencing and we’ll answer any questions or concerns you may have before we start.